Management theory and practice comes from multiple perspectives - entrepreneurial management (strategic orientation, resource orientation, management structure, reward philosophy, and entrepreneurial culture), management competencies identified by urban Extension directors around the country, and management strategies. Taking a facilitating approach to the management of tasks, people, and ourselves can influence our results as we plan, organize, implement, and control. Option 1. The Entrepreneurial Management Introductory Guide addresses the rapidly changing landscape in urban areas throughout the country. Innovation is essential for cities and for universities. Awareness of entrepreneurial management factors and resources for managing tasks, people, and self. 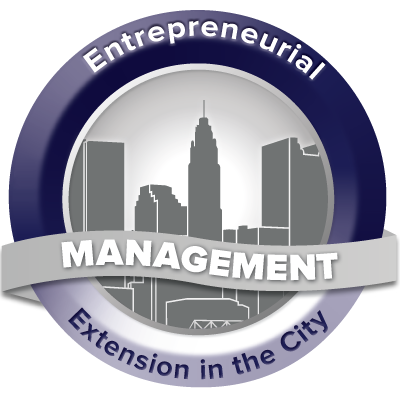 Knowledge of urban Extension management competencies. Ability to leverage resources to address management priorities.